Born at Virden on 20 August 1889, son of David and Margaret Muldrew, he attended the University of Manitoba then taught mathematics and physics at the Manitoba Agricultural College until enlisting in the Canadian armed forces during the First World War. 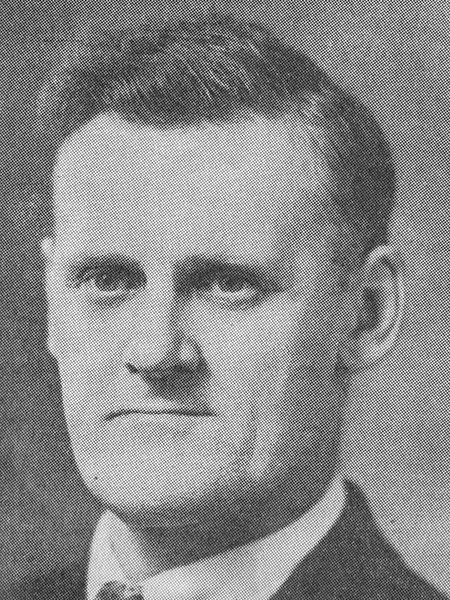 After returning from military service overseas, he was Principal of Carman School (1920-1921) then earned an MA in mathematics (1925) and BEd (1941). He taught at St. John’s High School for 17 years then was Principal of Aberdeen School for 17 years, retiring in 1954 but continuing to teach in a variety of capacities for another 16 years. In 1929, he organized a summer vacation school for boys at the YMCA that proved successful and was taken over by the Winnipeg School Division. He was an active member of the Winnipeg Schoolmaster’s Club, Robertson Memorial United Church, and Victoria Beach Community Church. He worked for many years with the Manitoba Temperance Society. He died at Winnipeg on 5 August 1976 and was buried in the Garry Memorial Park. Obituary, Winnipeg Free Press, 7 August 1976, page 43.